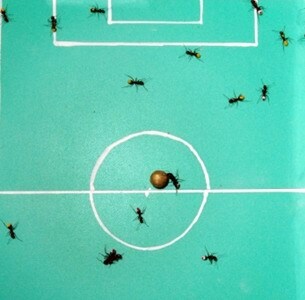 Here you see the first World Cup played completely by ants. 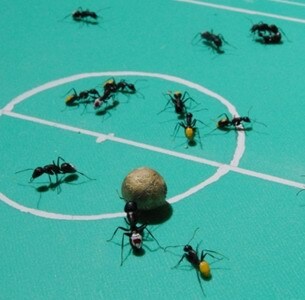 Japan versus Brazil. 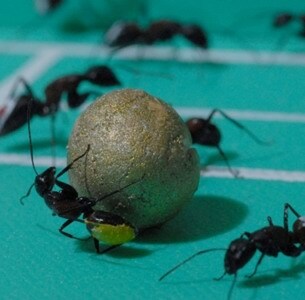 The Camponotus obscuripes ants, known as Muneaka-oari in Japanese, measured between 7 and 12 mm long. 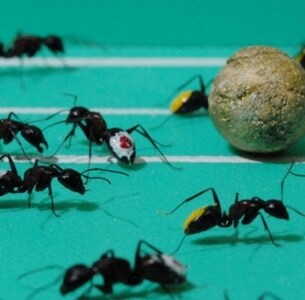 They played using a 1 cm ball on a pitch 20 by 30 cm.